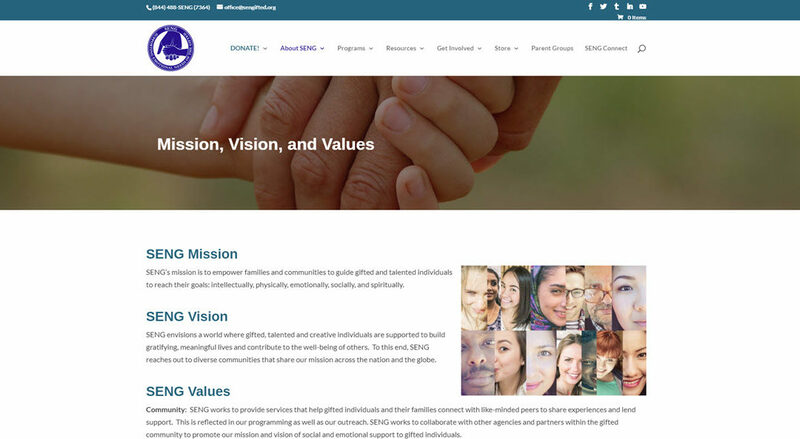 We recently completed the wholesale redesign of the website of Supporting Emotional Needs of the Gifted—SENG, a non-profit with global reach that is based in Schenectady. We also helped to conceive of and deploy a new way to make available the organization’s webinar content (called “SENGinars”) to the public. SENG now uses the Vimeo on demand service to post recorded SENGinars publicly. Individuals are able to rent or buy SENGinars outright. We also helped SENG to establish its own (free) Google for Non-profits account, which enables the organization to better manage email, internal communications, calendaring and file-sharing. >> Click to tell us how GoatCloud can help you to thrive online!